Is it just the elevation of the villa you think can be different when you compare products of different builders? Would you not look for better and efficient interior spaces? Please visit “The Haven”, the premium villa project in Kottayam. Spacious family living room, exterior deck spaces, elegant & easy-to-maintain landscaping etc. can add a lot of utility to your new home. Please visit our site to take a look at “The Haven” Luxury Villas in Kottayam. What you see in this picture is real…and, the good news is, you can get your home look exactly like this with a much smaller budget than you think it would take. Premium design of interior spaces is what makes Altin Villas unique. 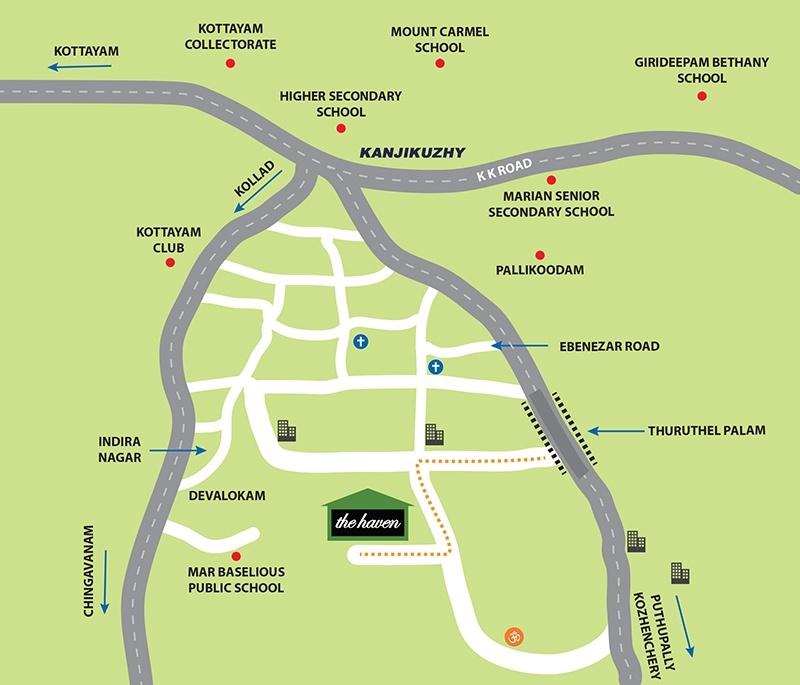 Please visit “The Haven”, the premium villa project in Kottayam. Not many people buy more than one house in their life. That makes choosing your builder very important. We recommend you visit our Altin Properties’ villa project in Kottayam, with no obligation to buy. People tend to focus on brand names and still miss out the best things they could get from the market. Don’t you think you should pay more attention to the build specification rather than the colourful ads by the builder? You will find answers to these queries when you visit the best villa project in Kottayam “The Haven”. Why settle for less when you have the opportunity to make your dream home look like this? It doesn’t cost you a fortune and you can still have posh interiors like this. Please speak to Interiors Team of Altin Properties and visit “The Haven”, the premium villa project in Kottayam. Altin Properties "Top quality villa projects for sale in Kottayam"
We build some of the best new Villas in Kerala and Karnataka. We create communities that are really great places to live and beautiful properties that you can be proud owners of. Altin Properties pride ourselves on being one of the best builders in town and is en route to establish an enviable reputation for our premium design & build quality, high specifications that go several notches above the market standards, and excellent customer service. When you are buying a new home, the foremost thing you want to be sure is you can trust the builder. Choosing an Altin Villa offers you peace of mind that comes from choosing a firm that is capable of building exceptionally good quality houses for its customers. The Villas we build today are a perfect choice for modern lifestyles, with designs that can be adapted for changing needs of the Customer and the environment in which we build. Not only are they built to the best industry standards, but they also come with the latest designs in living rooms, bathroom and kitchen. 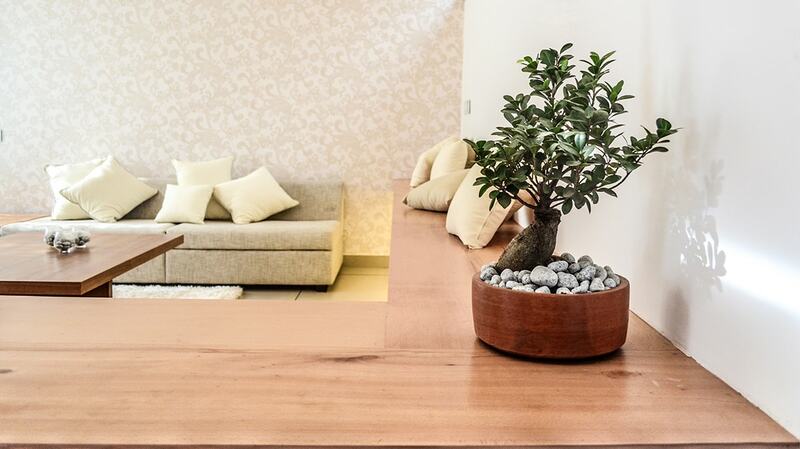 At Altin Properties, our aim is that the Customer receives excellent customer service and the best quality home. We want your experience and the journey with us to be a great one, from your initial enquiry right through to moving into and living in your new Altin Villa. Our ultimate aim is to build the best luxury villas in Kottayam with premium build specifications, at a much affordable price for the customers compared to what is currently available in the market. There are many players in the market who can actually give you a lot more than the money you invest with them – unfortunately, that doesn’t seem to be happening. This is exactly what we are trying to resolve by offering superbly designed living spaces to the customers at a considerably better price. It is where Altin Properties is trying to strike a balance in what we offer to our customers in terms of build specs in return to your trust and investment in our product, which we think would fill the gap in the market where the customer doesn’t have many choices for value for money investments, especially in mid-level to high-end homes – be it apartments or villas. Definitely we would need great support from you to succeed in this venture. We welcome you all to be a part of this new journey. Together, we make the best builder in Kerala and the most satisfied customer, in the immediate future. 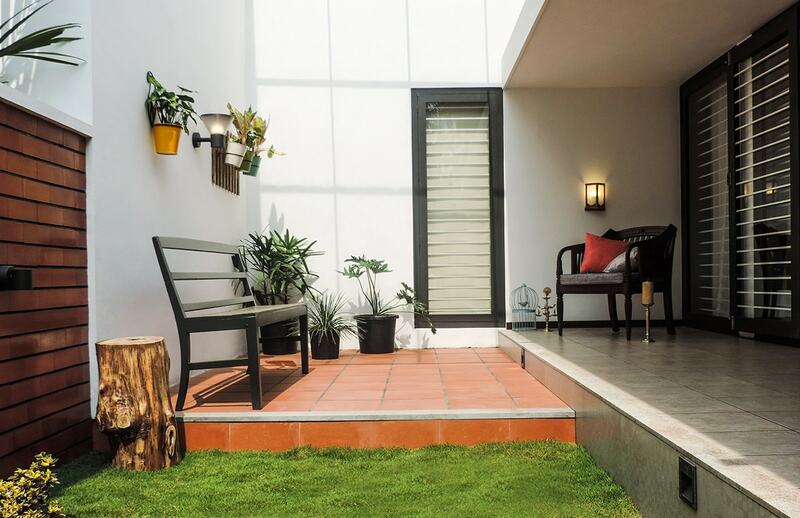 “The Haven” is undoubtedly one of the luxurious and low cost villa projects for sale in Kottayam, which consists of 12 contemporary villas and a Clubhouse. It offers 3BHK, 4BHK & 5BHK villas with unparalleled features. These premium villas in Kanjikuzhy offers the best ever sold specs at Kottayam. High demand for residential units around the project location is driven by its proximity to the major schools in Kottayam - Pallikoodam High School, Marian High School, Mar Baselios School etc. and shopping centers and hospitals in Kanjikuzhy. To cater to all customers, we have got 9 unique floor plans. 3BHK villas: Built-up area ranges from 1900 - 2380 sqft. 4BHK / 5BHK villas: Built-up area ranges from 2268 - 3370 sqft. Altin Properties opts for the best structural designs as well as earth quake-resistant construction methods. Please visit our Gallery or Facebook page for pictures of site at various stages of the construction. We use only A-grade cement (Ultra Tech etc.) & ISI-grade Steel for construction of villas in “The Haven”. Products of leading brands including TORFENSTER UPVC sliding windows (UK) and KOHLER/JAQUAR pressmatic basin spouts, HONEYWELL switches (USA), SHERWIN WILLIAMS Paints (USA), KAJARIA/NITCO tiles, SAINT GOBAIN Glass Handrails & False Ceiling have been used in our project. 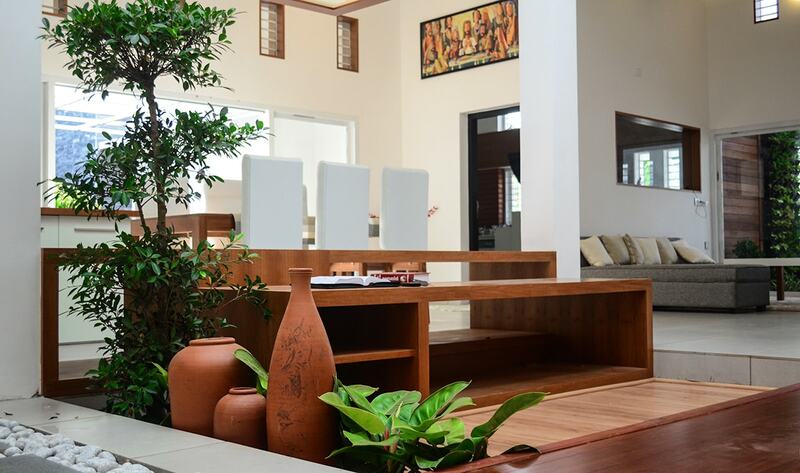 “The Haven” is also one of the most eco-friendly villa projects in Kottayam. We have factored in several factors to help reduce consumption of electricity & water by the residents and we set each plot for harvesting rain water by exquisite landscape design - with several planters and lawn area. Each plot has one fruit tree planted in it. Plumbing lines & electrical wiring is designed to incorporate eco-friendly options like Solar Power and Solar Water Heaters. Customers don't need to modify plumbing/wiring for such accessories. We have 4 floor plans to choose from, with built up area ranging from 2268 sq.ft. to 3370 sq.ft. 4BHK luxury villas have features like private Swimming Pool, Home Theater, Office / Study etc. 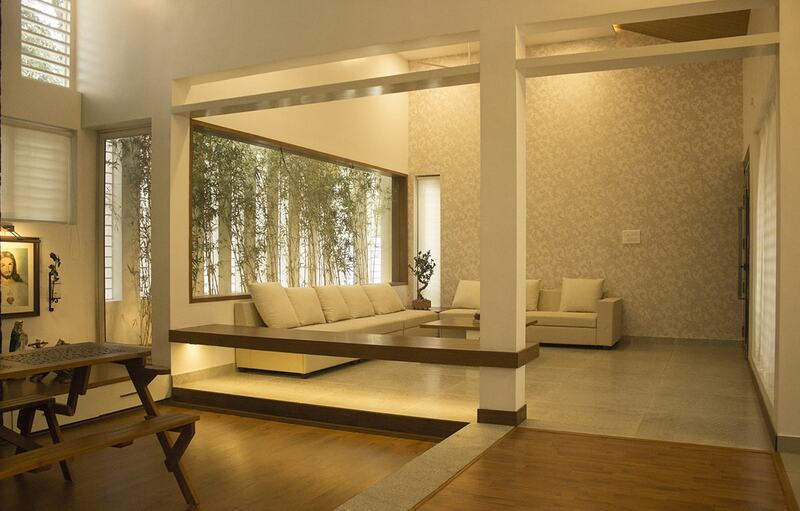 Premium 3BHK villas have been designed to cater to all types of customers. Built-up area ranges from 1870 sq.ft. to 2380 sq.ft. 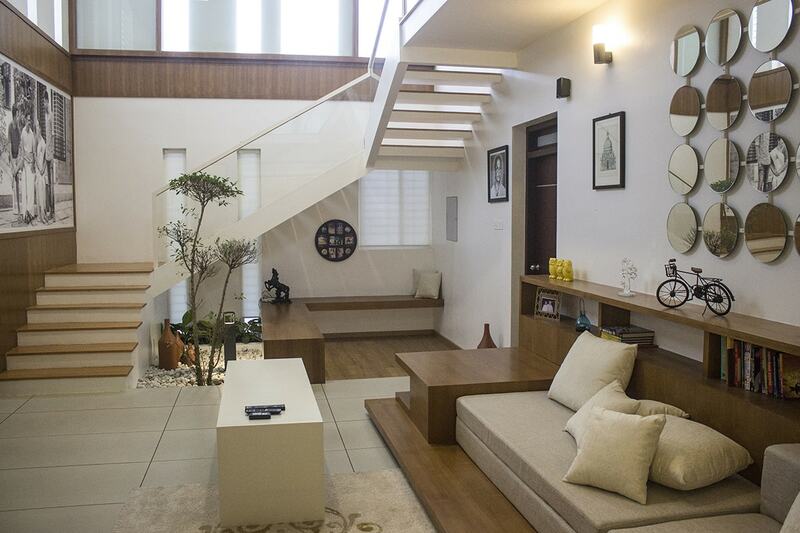 A spacious family living room in the first floor is a standard feature in all villas. “The Haven”, the premium villa project in Kanjikuzhy comes with the best amenities for luxury living in Kottayam. 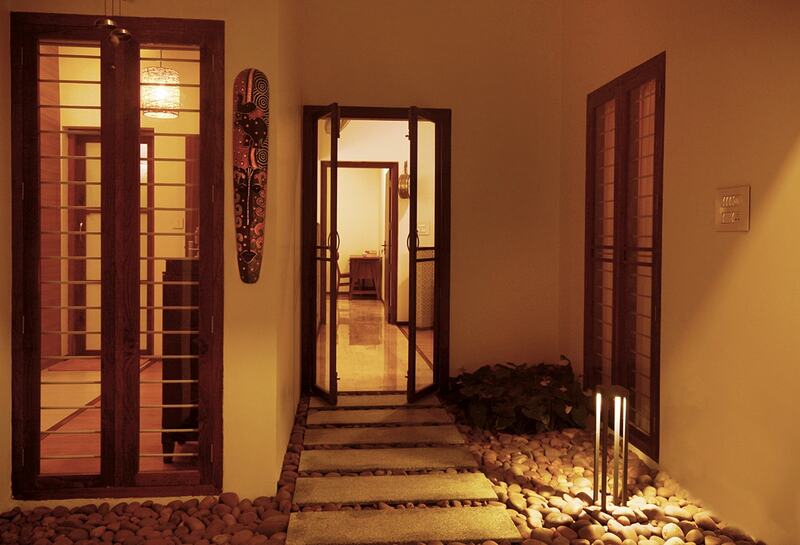 Altin is a leading builders in Kerala who have undertaken several villa projects in Kottayam. We keep unique style and perception that match your requirements in building innovative, high quality, sustainable and budget friendly luxury villas in Kottayam.Several tree courts, Kid’s paly area, Fitness center, Swimming pool, Outdoor party area, Indoor games etc. are incorporated considering contemporary lifestyle of the residents. We offer a lifestyle of generation along with happiness, prosperity and security. We all love our new home and the location; we are confident this will be a great community and a beautiful place to live. We really like the concept of several small tree courts, which provides enough space for all residents to enjoy the weather. The location is very good – short commute to shopping areas in Kanjikuzhy and close proximity to the schools & hospitals. The quality of the workmanship in the villa is also really good. We visited many of the residential developments locally, as well as others around Kanjikuzhy; but we found Altin Properties by far the most professional, knowledgeable and friendly out of them all. The premium specs offered at much lesser price compared to market standards is what appealed to us the most. As a premium villa projects in Kottayam, “The Haven” stands out with its unique theme and the way its design keeps the individuality of each villa................As a builder, we felt the team very transparent, genuine and have a tailored customer approach where they always went the extra mile to cater to all our needs. ………………...We strongly recommend “The Haven”, villas for sale in Kottayam to all prospective home buyers looking for a great product which is value for money you invest, compared to other products in the market – be it bigger brands or others. Website Content: The details provided in this website are intended for general information purposes only. Pictures & Videos represent artistic impression of the product(s) and may not exactly represent the final product(s). Altin Real Estate endeavors to provide accurate, reliable and complete material on its website. However, Altin Real Estate expressly disclaims any liability with respect to the website content. All persons, including prospective customers, shall make independent assessment of the details provided in the website. 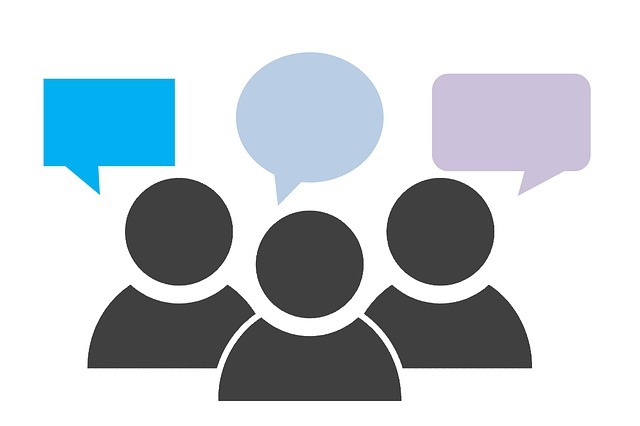 The content shall not be interpreted as recommendation for any product or service, and any transaction entered into by the customer/any other person is solely on his/her discretion. The agreement(s) for sale and construction duly executed between the customer and Altin Real Estate shall be final in all respects (including floor plan, specifications etc.) unless otherwise specified, and shall supersede contents in this website. Altin Real Estate does not accept any liability with respect to any representation/promise by unauthorized person. Altin Real Estate reserves the right to add, remove, replace, modify content on this website, with or without notice, at any time as it deems appropriate. Altin Real Estate does not assume obligation to update/modify the contents in this website, nor does it accept any liability for unauthorized use or reproduction of the contents of this website. Altin Real Estate shall not be liable for any loss or damages (direct, indirect, special, consequential or otherwise) arising out of (a) errors/omissions in the website content and (b) distortion of data due to any technical defect, transmission error, third party intervention or virus. Copyright Laws: Images, audio & video clips, own trademarks and all other contents in the website are property of Altin Real Estate. Copyright laws prohibit copying and redistribution of these contents. All other brands & trademarks referred to in this website are the properties of the respective owners. Reference herein to any product / service of other brands & trademarks does not imply endorsement or recommendation of those by Altin Real Estate. Copyright © 2018 Altin Properties. All rights reserved.